Ideas are like fireflies: beautiful to look at in the dark, but ugly in the daylight…not to mention that once you catch ‘em and put ‘em in a jar they stop glowing. Ideas are like starfish: cut off one leg and, should enough of the life-sustaining idea remain, it’ll grow a new leg back. 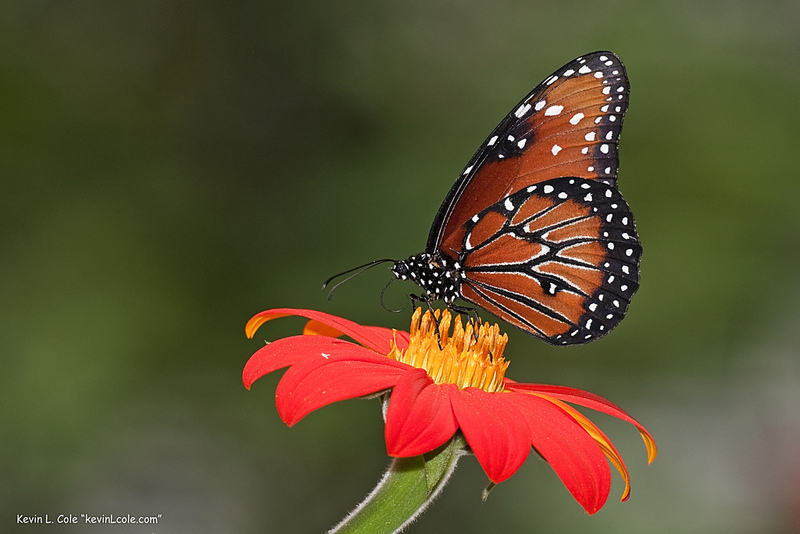 Ideas are like butterflies: they flit about all pretty like and you have to have the right tool (i.e. net) to catch them otherwise the oils on your hands will destroy their lovely wings and they’ll die. Inspiration can hit at any moment. This is what I’ve learned as a writer, graphic designer, marketer, etc. Usually it’s at the most inconvenient time. Rarely do you sit down at your computer, ready to work on that project, and get bowled over by the wonderful and numerous ideas that come flowing to your head. Usually inspiration hits when you’re driving on the interstate, standing in the checkout line at the grocery store, on the treadmill at the gym, etc. In other words, you tend to have a great idea when it’s the least convenient to record and remember that idea. My livelihood is now based upon my ability to generate and capture creativity since I work from home and am self-employed. I try to keep the flow of ideas steady by doing things I know will inspire me and let the brainstorm hit. I liken this process to hunting. 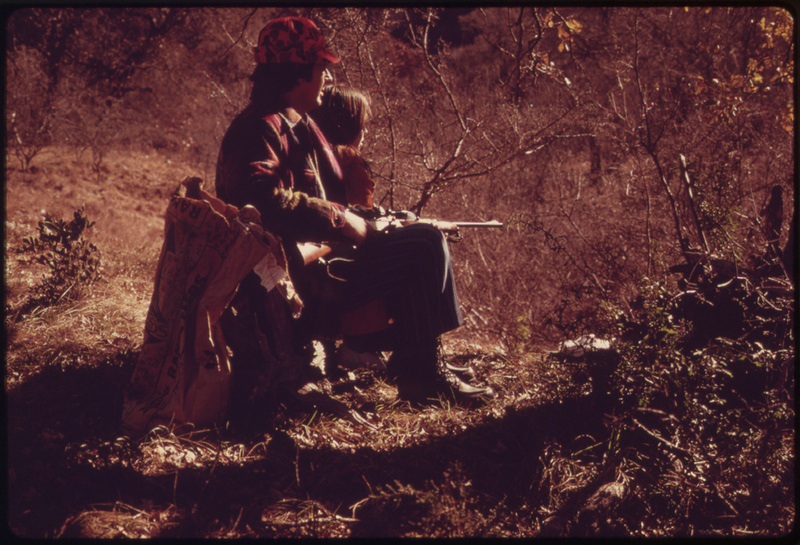 Especially hunting as it’s done in my home state, which I really liken to strategic waiting. Once in his habitat, you must place yourself in an area where you will most likely see this buck yet also not tip him off to your presence. Trophy bucks, like great ideas, are skittish creatures. Up north this strategic waiting takes place in tree stands, above eye level, and sometimes hovering over a pile of apples or a block of salt. When you need to come up with a killer idea you must immerse yourself in examples of great work (the habitat of great ideas) and hope to become inspired (i.e. strategic waiting). When you see that trophy buck you must be prepared with the proper tools to sight him and bag him. Like when you finally trigger a stream of inspired brainstorming, you must be ready to capture and record those ideas. A good old standby, I developed the habit of always having a camera and notepad on my person when I lived overseas. There were so many new things to see and beauty I wanted to capture that I had to ensure I had at least something with which to remember the moment when I was ready to write later. Small notebooks are easily stashed in purses or camera bags or back pockets. Pens my be trickier for pockets, but golf pencils are an adequate substitution. When I write I become a very visual person. Kind of a dichotomy, I know. But I tend to see the scene in my head and then am able to write it. When writing non-fiction a camera is a handy way to capture the 2D scene so you can accurately describe it later. Photos are also great raw materials to have if you are adapting your story for multimedia use. If you’re like 99.9% of humans, then you think faster than you can write. This poses a problem when you’re brainstorming so hard you can barely finish a thought much less a printed sentence. That’s when an audio recorder comes in handy. I like the Olympus Digital Voice Recorder (WS-321M) for it’s simplicity of use in audio note taking, just be warned that the file format (.WMA) will not be compatible with Macs. You’ll need file conversion software if you want to do more than just playback, which you can do within the unit. It does, however, have an internal USB connection you can easily use with your computer rather than messing around with memory cards and readers. If I’m writing non-fiction, chances are my research is coming from a variety of experts in whatever field I’m writing about. 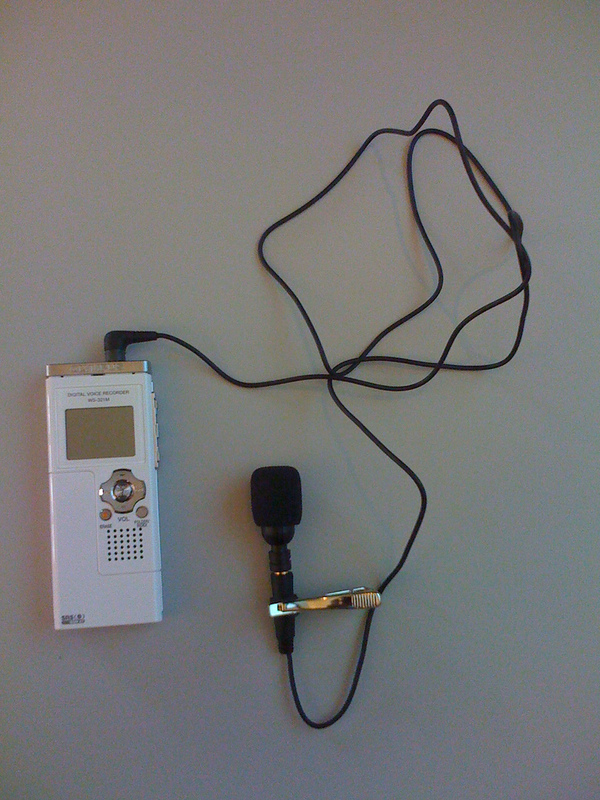 An audio recorder I like for interviews is the Zoom H2 Digital Audio Recorder. A favorite with songwriters, this unit is probably more functional than you need it to be, but it records 360 sound in the compression of your choice and has a built-in 2-second front-end and back-end audio delay. Its tabletop stand comes in handy and a sold-separately windsock will help filter out ambient noise. Zoom H2: More expensive. More pompous. But still lovable. Naturally, inspiration hits when you’re on the fly and you probably won’t be carrying all of these pieces of equipment around. Luckily technology has advanced to the point most any smartphone will likely be able to do any of the above idea-capture tasks for you. Notes: Natural Notes is a free Android app you can use as a digital note pad. Use the share function to send your notes via SMS, email, or social media. A backup feature is also included and your notes are searchable – a great feature for writers keeping notes on multiple projects. WritePad is an app for iPhone ($3.99) and Android ($9.99) that takes your handwritten notes and transcribes them to text. The more you use it the more accurate it becomes. The Android version is more expensive as it comes with a virtual keyboard function. User reviews say there is a sharp learning curve for the app’s handwriting conversion, so be patient as it will need to catch up with your penmanship for more accurate results. Photos: Most smartphones now come with a built-in camera. The difference between devices largely being photo quality. If you are using your photos for idea capture only and will only reference them for your writing, then snap away. If you will be using them in multimedia story adaptations, then consider the quality before you leave the house sans camera. Voice Recorder: Click here for a list of voice recording apps for the iPhone, Blackberry, and Android. I sometimes resort to leaving myself voicemails or adapting my RingDroid app (a ringtone app with recording function) for note taking use. Gun deer hunting season may come but once a year, but the hunt for creativity is a year-round sport.